Garrett EuroACE VS Garrett ACE 250: the final battle! The “Garrettino”, Italian word for “Little Garrett”, was (and still is!) a winning model for the Texan constructor. 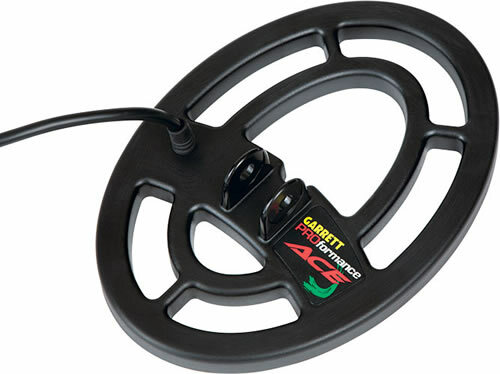 Lightweight, able of good performances, with LCD display, low battery consumption, multitone capability, with NO MOTION pinpoint, notch discrimination, 3 factory settings plus a ALL METAL mode and a freely customizable setting, the Garrett ACE 250 offered features that were available only on superior and more expensive models with a fraction of the price! With its unbeatable price/performance ratio, this model was a real best seller and still today thousands of beginners continue to buy it. Since its coming on the market, other brands tried to fight its success by proposing good alternatives. Here it came Fisher F2, Teknetics Alpha and Delta, White’s Coinmaster & Coinmaster PRO (legacy of the Prizm Series), Minelab X-Terra (30,50 and 70, followed by the new Series 305, 505 and 705), Tesoro Cibola, Bounty Hunter 3300 and many many more. Everybody knows that digital electronics evolutions, with its unstoppable pace and growing economicity, lead many competitors to reach the Garrett ACE 250 performances, even if nobody can deny that the “good ol’ ACE 250” still has a very intense “charme” on novices that no other detector, in that price sector, has. Which was the move made by Garrett executives, to fight the fast-growing competitors? Two more entry-level machines: EuroACE and ACE 350! Which are the special features of these new models compared to the ones of ACE 250? If we only take a quick look to the esthetics, the only major difference it’s in the coil. ACE 250 has a 6,5”x9” concentric elliptic stock coil while EuroACE and ACE 350 are equipped with a new DoubleD elliptic 8,5”x11” with a special “Smudged” design on the tip and tail of the coil. The rest seems identical, same shaft, same lower stem, same elbow support, same grip handle, same controlbox. Taking a closer look to the display, we will notice some other differences. Garrett ACE 250 has typical US icons (Dime, Dollar, Penny etc) and imperial depth measures, while EuroACE has european coins icons and uses centimetres . The discrimination area related to Iron targets has 6 notches on the EuroACE, 4 on the ACE 350 and just 2 on ACE 250. Why this noticeable difference? Simple! In the “Old Continent” (Europe), it’s not uncommon to operate on higher mineralized soils compared to the United States ones. And even more targets, just think about the military relics, that are grasped by european hunters, fall under the “Ferrous” zone of the discrimination scale. So Garrett increased the “Ferrous” zone resolution, to allow a better iron target identification and to better handle the famous “Ferrous Drift” that hits iron targets in highly mineralized soils. This phenomenon makes the target’s identification to “drift”, as the depth increases, from its correct position down to the ferrous side of the scale when the soil’s mineralization is strong. So, increasing the Ferrous Identification Resolution, users will have an better chance not to miss good deep targets on difficult soils. But that wasn’t the only improvement made by Garrett engineers! Seasoned detectorists know that concentric coils are not the best choice when hunting on medium to highly mineralized grounds. DoubleD (also called Widescan) coils offer better performances in term of depth, stability and target separation on that kind of extreme soils compared to concentric ones. The other side of the medal about DD coils are a little less depth on low mineralized soils and a little more difficult target pinpointing. Garrett gave EuroACE and ACE 350 an outstanding DD stock coil! It is somehow a compatible version of the stock coil mounted on top-of-the-line AT PRO. It is bigger compared to the ACE 250 stock coil but it’s definitely lighter. 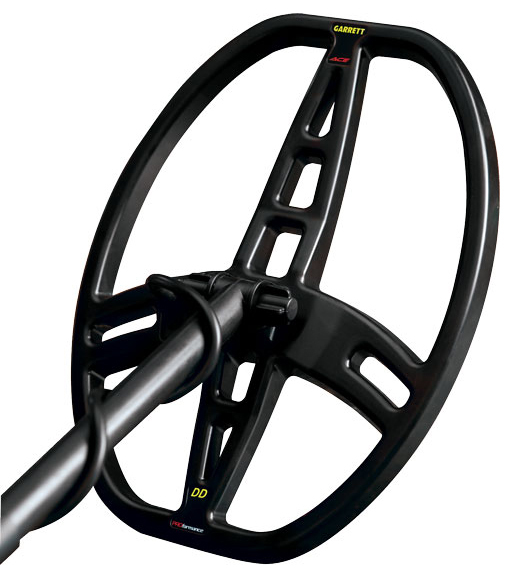 This allow a better weight balance of the metal detector, lowering sweeping fatigue. Another fundamental difference between EuroACE/ACE350 and ACE 250 is about the operating frequency, but I’ll go into further detail later. EuroACE, also imported in Italy, is no more a new product. Treasure hunters can buy it since over two years but, and this thing surprises me, nobody ever thought to do some in-depth test to check if its innovations were truly a “step ahead” the ACE 250 that, anyway, is still a best seller in our Country. So I’ve sent a kind request to one of the official Italian distributors to test this model, possibly also together with the bigger optional concentric coil (9”x12”). After few days, the box arrived and I immediately started to work. My complete testing won’t be short, so I ask a little bit of patience from my readers. Let’s begin by telling that EuroACE comes with a free head-phone with volume control. People often criticised ACE 250 for not having a volume control. 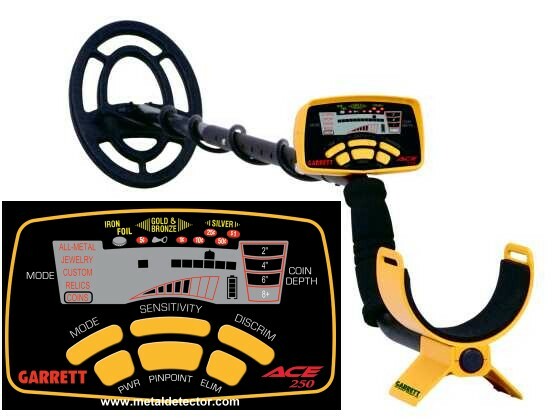 ACE 250 it’s a very loud metal detector and can bear to hearing fatigue after a few hours of hunting using head-phones without volume control. 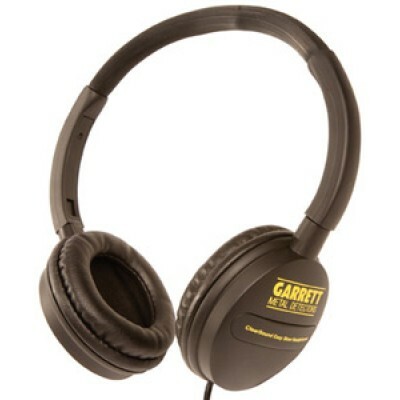 Garrett engineers decided not to modify audio circuitry of the metal detector but they simply included a cheap but not so bad head-phones with volume control. They are light, well built and very useful for detecting without disturbing other people and also lowering battery consumption. 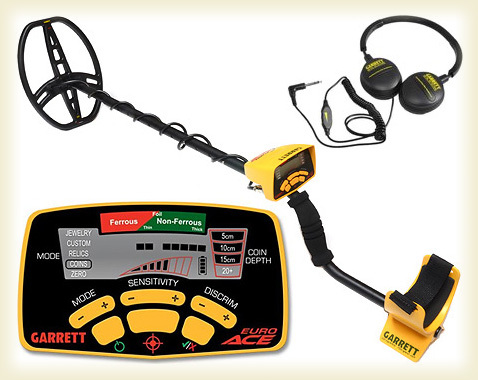 Garrett EuroACE installation is as easy as with ACE 250. You just need to slide the Controlbox rod inside the middle rod blocking it with the springlock and do the same with the lower stem that holds the coil. Mounting the coils will just need to use the included fiber nut and bolt in the lower stem clevis. Now all you need to do is wrapping the cable around the rod, by just caring to let the first round OVER the lower stem and not UNDER and by not applying an excessive cable tension. The coil should be able to tilt completely without creating a dangerous tension of the cable. Now connect the cable to the controlbox by rotating the connector safety ring and… you’re ready to hunt! But? What about batteries? 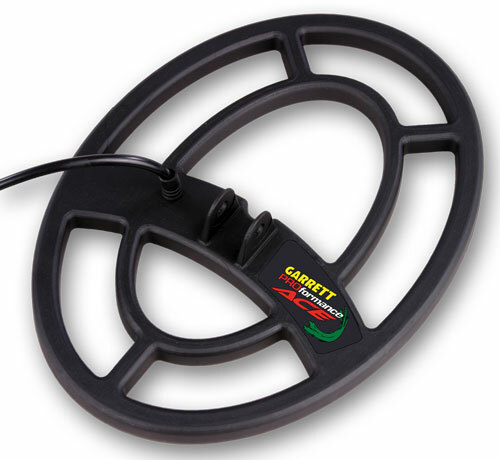 Well, as anyone who knows Garrett products will know that batteries are always included with any sold detector. Four fresh AAA alkaline batteries are just ready to let you have fun with your detector! I suggest you to use rechargeable batteries to save money and to reduce environment impact. I decided to protect the EuroACE grip handle with a transparent food film, a simple trick that can be useful on muddy soils. Coils was protected with its own cover that could be bought (I strongly suggest it!) as an accessory. The cover protects the coil from scratches, abrasions, bumps making its life longer. After preparing the EuroACE I went in my garage to pull out the “Opponent” of this challenge: my good ol’ Garrett ACE 250. I placed some fresh news alkaline batteries and I double checked connections. The first thing I’ve notices was the effective better weight balance of the EuroACE compared to the ACE 250. The lighter DD coil, as I’ve stated before, unbalance the unit in a lesser way giving you a more comfortable sweeping and less fatigue especially on long hunting sessions. Before I describe the tests I’ve done, I need to write a necessary foreword. It’s not actually possible, in just a short period of time and with simplified tests like the ones I’ve done, to fully describe the behaviour of any detector. All we could do is to start having an idea, a first impression that could help us when buying a detector and act a basement for our future experiences. I also had not the opportunity of testing the machines on beach or surf, so my tests were forcefully limited. I really hope I’ll have this chance one day. 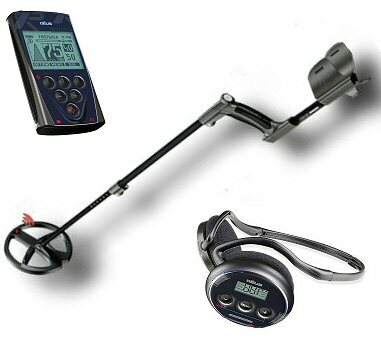 Anyway, there is not a better way to learn and appreciate a metal detector but to continuously use it on the field, especially on different environments. Now’s time to start our comparative tests! I was impatient to bring the “Challengers” on the field to start testing them. Featuring a quite strong mineralization, the first Test Bed was prepared for the first comparative test. I’ve dug a 4-6 hole and buried a 20 EuroCents in the bottom. It was not a extreme depth but the aim of the test was to check the detectors performance and ability to “see-through” a mineralized brick. I’ve previously checked the capability of both the detectors to correctly detect the coin WITHOUT the brick and they passed this first easy test. A strong, solid and repeatable sound was made by both the units. A different behaviour emerged after placing the brick over the coin. While EuroACE was still able to detect it, even if the signal was less stable, the ACE 250 went completely mute! So… EuroACE scored its first goal! For my second test I’ve used two old bottlecaps. The first one was pretty rusted while the second one was in better condition with just small rust signs. 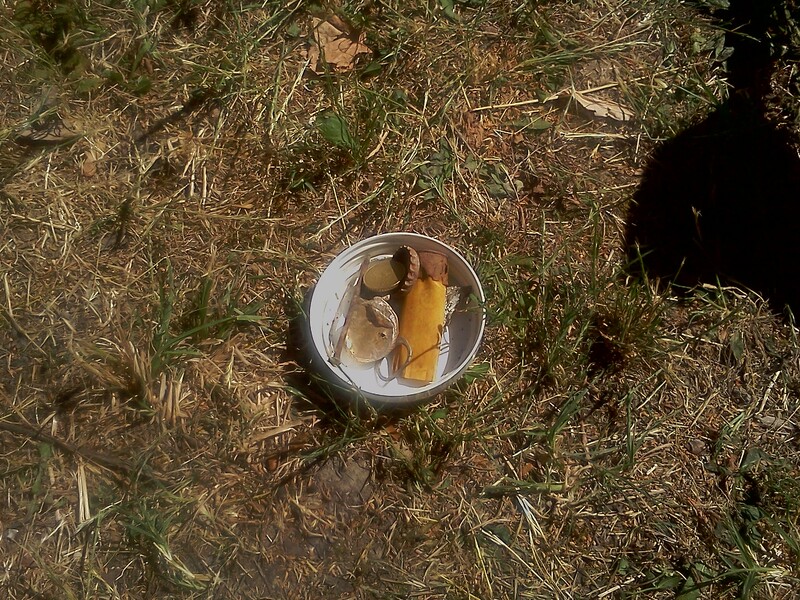 I’ve placed the two bottlecaps laying on the ground on the left and on the right of the 20 EuroCents coin at a distance of around 13 inches between every item. The first test was about the targets identification. Here there were the first surprises: while Garrett ACE 250 identified the 3 targets with completely different ID notches (the newest bottlecap was signalled under the bottlecap icon, the rusty one in a intermediate position and the coin in the high part of the scale, as I espected they would have being shown), EuroACE gave me a totally different result. With this machine, all the 3 targets were placed between the last 2 notches. In other words, EuroACE was not able to boldly separate the targets over its VDI scale as the ACE 250 did. This esperimental result was verified again in true research by miself and the same behaviour was observed. This lead me to a first thought: Garrett EuroACE, by increasing the ferrous VDI resolution, forcefully had a NON-Ferrous scale compression. This implies a greater concentration of indications on the upper scale with high conductive targets. This have an immediate consequence: it will be harder for the operator to distinguish between good targets and trash items made of high conductivity metal like some bottlecaps, pulltabs and shotgun shells. I’ll go into further details later…please be patient… Anyway, this time is the ACE 250 to score the point for having a better identification capability of “noble” targets. My next analysis was about the detectors’ ability to separate different targets by emitting individual tones for each one. 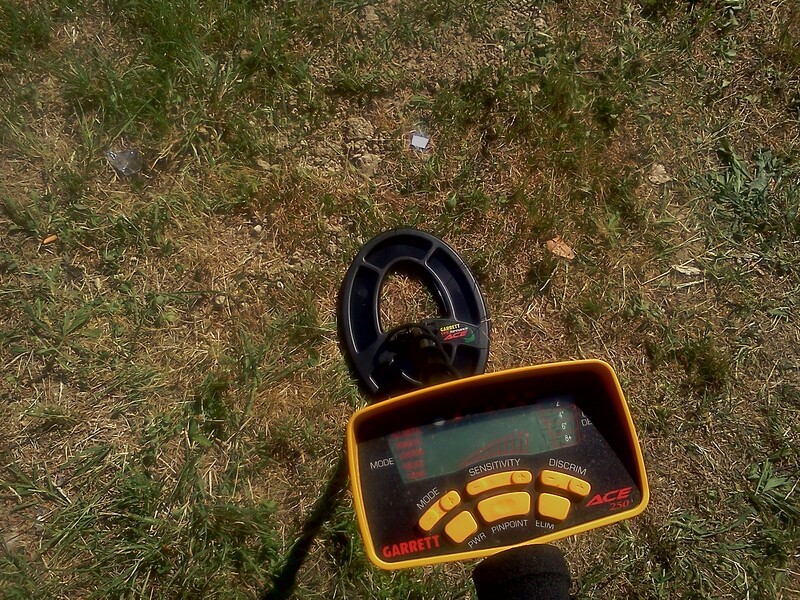 Garrett ACE 250, even changing the sweep direction and speed, was only to sound on the first and third target. In other words it wasn’t enough reactive to detect the middle target. The same test was executed on the EuroACE that succeeded to correctly sound each target with a proper sound. Actually this positive result is more correlated to the peculiar DD type coil mounted on the EuroACE rather than its intrinsic recovery speed. Everybody knows that DD Type coils performs better than concentric ones on target separation due to the narrower emitted electromagnetic field. We could say that, at least in this occasion, on-the-field experience was coherent with theoretical principles! Yet another point for EuroAce! Hole was previously checked with an hi-end metal detector. Then I’ve measured depth with a flexible meter. To verify depth performance of the two challengers on mineralized soils, I’ve managed to dig a hole of about 20-21 cm (approx 10.5 inches) and I’ve buried a nice King Vittorio Emanuele 10 cents coil. It’s not a very small coin because I wasn’t interested in extreme tests but I just want to check the detectors’ capabilities with common targets in statistically probable conditions. Obiviously I’ve previously “scanned” the soil to avoid other buried metal objects could invalidate my tests (I’ve used a high-end detector, set to maximum sensitivity, to be sure that no deep metal objects could bias the experiment). Garrett ACE 250, set to maximum sensitivity and using ALL METAL (Zero) discrimination setting, signalled the coin on the first notch (maximum ferrous). This was clearly the evidence of the famous “Ferrous drift” I’ve previously talked about. Just think about the consequences of using a different discrimination setting, like Jewelry or Relic for example, in a case like that: the coin will surely be discriminated! Garrett EuroACE signalled the coin on the 11th notch, exactly where I was expecting to see it. It’s quite evident that this machine, even in heavily mineralized soils and with quite deep targets, do not suffer the same amount of “Ferrous Drift” of its “older brother” and succeed to keep the signaling far away from the usually discriminated zones (first and second notch). Once again the EuroACE beats its challenger! 4th TEST: Let’s analyze gold items! Gold targets are probably the “wildest dream” of most treasure hunters. It’s quite obvious that probabilities of finding gold items on the field are pretty low confronting them with beach huntings. Anyway, being asked by lots of detectorist friends, I wanted to have fun experimenting on that. I’ve taken a small white gold ring, a very thin yellow gold medal, a small and thin yellow gold chain and a small piece of aluminum foil. This last item was introduced since its conductivity is very close to thin gold items. 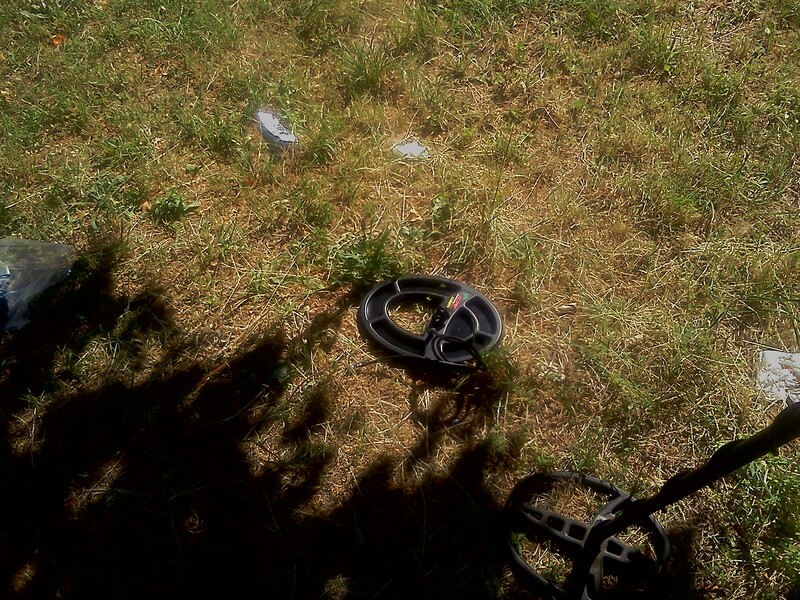 First tests were made by just leaning the objects over the ground (Depth “Zero” Test) and sweeping the coil over them. Garrett ACE 250 signaled the small white gold ring on the 3rd notch (just below the “Gold” serigraphy on the controlbox), the thin chain was unstable and bouncing on the 1st notch (max ferrous), the thin medal was on the 3rd notch and so it was the small piece of foil. With EuroACE results dramatically changed! The white gold ring was on the 7th notch, the small chain on the 5th-6th notch, the thin medal on the 7th-8th notch and the foil piece was on the 8th notch (the correct position of FOIL serigraphy). We could notice that gold items signals are pretty higher on the VDI scale with EuroACE and they are all very far from the normally discriminated zone (1st and 2nd notch). Among other things, the small gold chain, a true desire object for beach hunters, is signaled as ferrous with ACE 250 while EuroAce signals it as a noble metal. Good job EuroAce!. 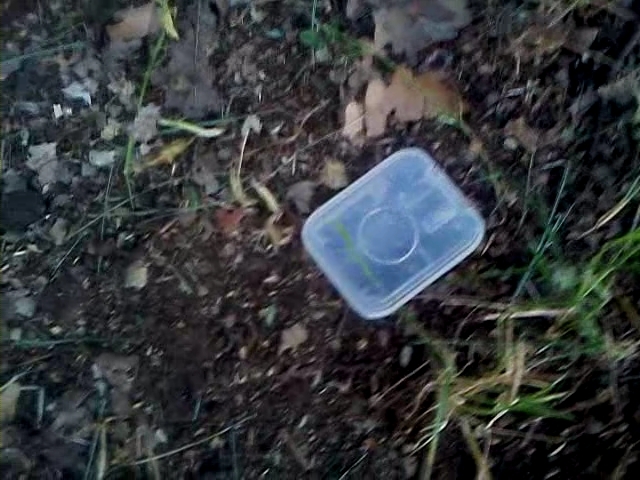 I’ve done the test again but this time I’ve buried the items under 3-5 cm (1.3” – 2”) of mineralized soil. This time wasn’t necessary to go deeper because the small size of the targets could have nulled the test. ACE 250 signaled the white gold ring on its 8th notch (while it was on the 7th one on Zero Depth Test), it completely missed the gold chain, yet missed the thin medal and the foil piece was signalled on the 1st notch (it was on the 3rd notch on Zero Depth Test). EuroACE signaled the white gold ring on 8th notch, the small chain was signaled but it was on 1st notch, the thin medal was signalled on the 7th notch (exactly as the ZDT!) and the foil piece was bouncing between iron, foil and noble metal notches. Conclusions are pretty evident. Even with some disturbances, EuroACE was always able to detect the targets even buried under mineralized soil while ACE 250 failed to detect the chain and the thin medal. Once again the winner is EuroACE! 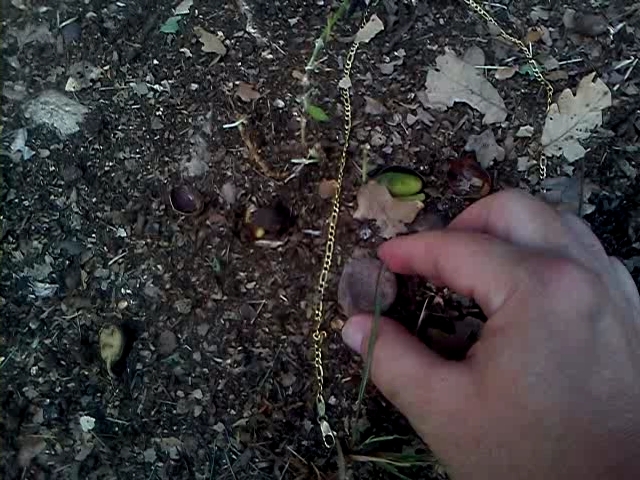 Do you remember that I’ve buried a King Vittorio Emanuele’s coin (it’s an old Italian coin) at about 20-21 cm (around 10.5 inches) for my 3rd test? Now I’ve taken a nice rusty nail and I’ve swept the coil over it. Both detectors signaled it on the first notch. Later I’ve leaned the nail on the ground exactly over the coin’s position. I wanted to check what would have been happened to the coin signaling. With ACE 250 I faced an ambiguous situation. In the previous test the coin was signaled on the 1st notch (maximum ferrous) that is exactly the same VDI associated to the nail. By sweeping over the Nail-Coin combo I still had a signaling on the first notch. So I still don’t know if it is related to the coin or to the nail itself. I’ve repeated the test with EuroACE (in the previous test it signalled the coin on the 11th notch) and I’ve noticed a slight variation of the VDI toward the ferrous zone. It was the first evidence that this model is less sensitive to Iron Masking. No doubt it was another goal for EuroACE. 6th TEST: Air testing with over 30 targets and 4 gold objects! Everybody knows that air tests are not so reliable to judge a detector performance. By the way they can be used, if done in a rigorous way, to gain some interesting informations. 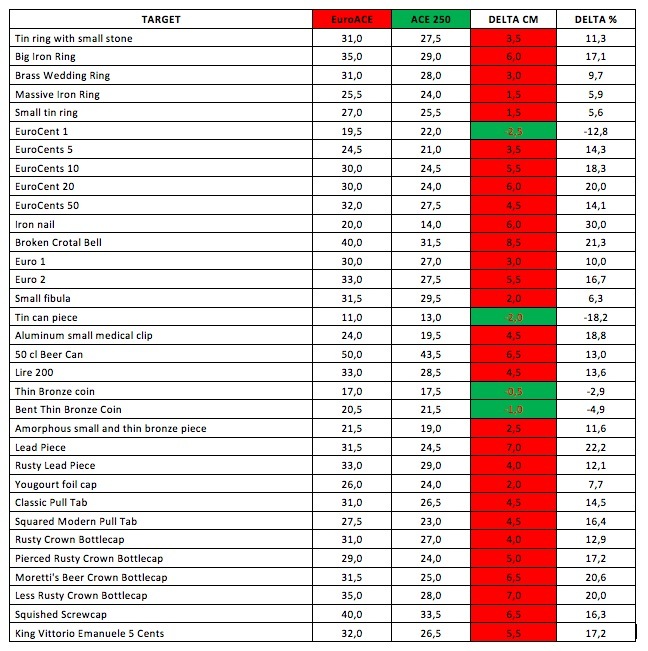 I’ve collected a good number of ferrous and non ferrous targets, very often found during real searches, and I’ve started some rigorous air test to measure maximum theoretical distances. Once again, this kind of testings are just a little bit more than a simple demonstrative exercise and real performance on real ground can vary even in a dramatic way. Here’s a simple resume table. By taking a quick look to the figures, we could notice that EuroACE has better results than ACE 250 with every target but 4 ones. Keeping these 4 exceptions off, EuroACE’s better performance ranges from +5,6% (with the little ring) up to +30% with the rusty iron nail. When ACE 250 “beats” EuroACE, differences are really quite small, ranging from 0,5 cm (1/3”) to 2,5 cm (1”). I’ve also done the tests with 4 gold objects: a small white gold ring, a thin yellow gold chain, my 6 grams wedding ring and a very thin yellow gold medal. The slightly higher operating frequency (8,25 kHz for EuroACE, 6,5 kHz for ACE 250) and the more concentrated electromagnetic field (thanks to its DD coil) of the EuroACE are probably the key factor of this very good results with low conductivity items. We’re getting closer to the end of this megatest. 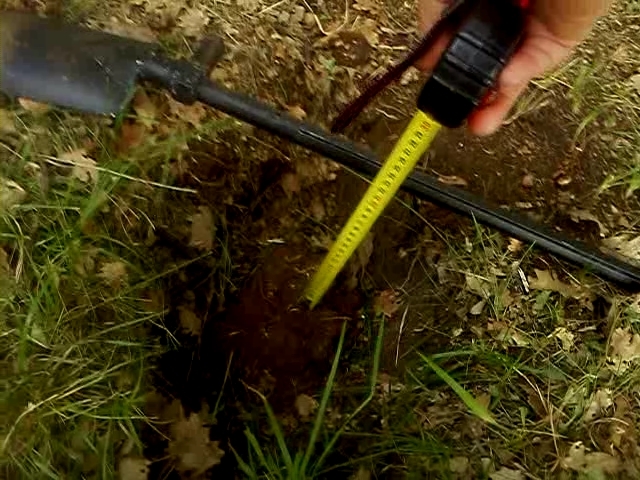 This time I went on a low mineralized field and I’ve dug a 23-25 cm (9-10”) hole. I’ve placed a small bronze coin (an old King Vittorio Emanuele 5 cents, a lot smaller than the 10 cents buried in the first depth test) on the bottom of the hole, filled up with soil, jumped over to compact it, and I’ve started to sweep over with EuroACE and ACE 250 operating a coil turnover. I’ve used the EuroACE stock DD coil, the ACE 250 stock 6,5”x9” concentric and the spare 9”x12” coil on both detectors to compare results. ACE 250, with its concentric stock coil succeded to detect the deep coin using maximum sensitivity but it failed by just lowering one single sensitivity notch. EuroACE with its DD stock coil succeded the test with maximum sensitivity and even lowering it by one and two notches! WOW! This means that EuroACE can definitely go deeper than ACE 250! 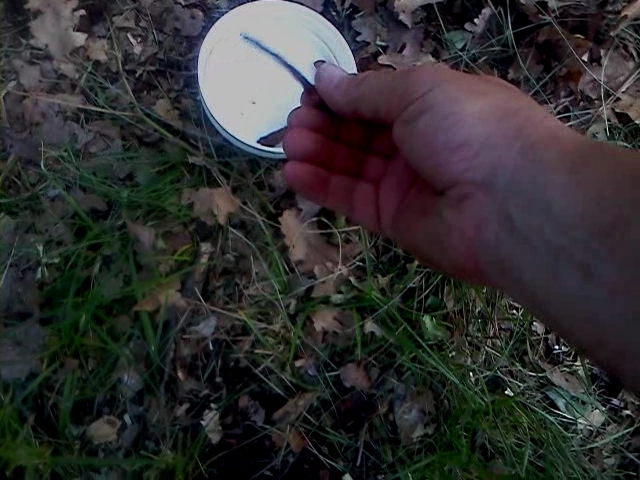 I’ve later mounted the spare 9”x12” concentric coil on the ACE 250 and did the test again. This time the machine was able to detect the coin even lowering one and two notches of sensitivity. I’ve then taken the 6,5”x9” concentric and mounted on the EuroACE. Result was pretty easy to forecast… Same as ACE 250, the EuroACE now was loosing the coin by just lowering one notch. This is the first strong and solid evidence that, DEPTH performance advantage of EuroACE is probably tied to its superior DD coil rather than other electronic factors. The penultimative test was the one who interested me the most. 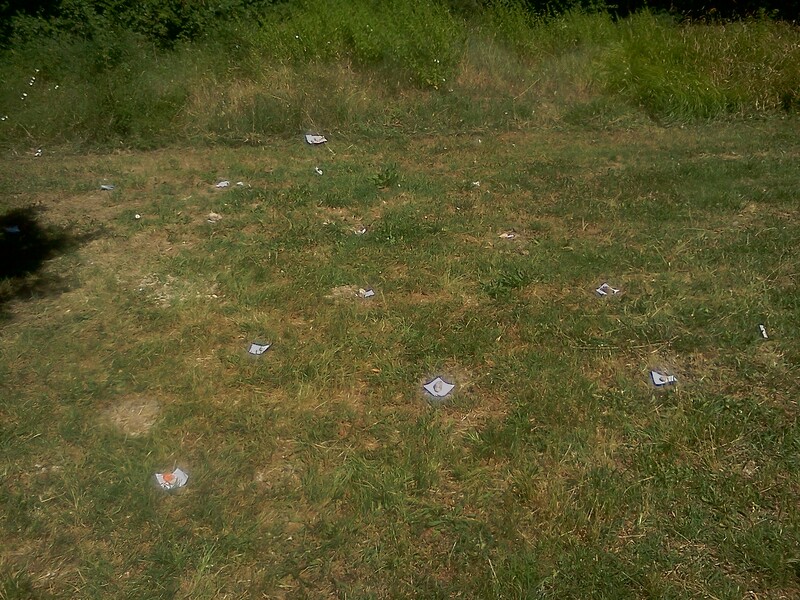 I’ve buried 9 selected targets under about 10 cm (4”) to verify HOW DIFFERENTLY the two challengers would have identified them on their 12 notches VDI scales. Here there are the results in the following resuming table. It’s quite immediate to see that almost every target was signalled with higher values on EuroACE compared to ACE 250. This is due to the “compression” of the NON FERROUS part of the scale and the correlated “expansion” of the FERROUS one. 1) NON FERROUS metal objects when buried in high mineralized grounds, will be less effected by the “Ferrous Drift” giving the detector more chance NOT to discriminate them. 2) A lot of DIFFERENT good noble metal objects will be “stuffed” in the last 3 VDI notches giving the operator more problems for a correct and immediate identification. An higher resolution (read more notches) would have being better. Crown caps, bottlecaps, lead items and some Euro cents (10-20-50) will suffer from this. They will be signalled exactly in the same way, probably on the 10th notch. In this case, ACE 250 has a big advantage because these targets are spreaded on different notches and user’s identification will be pretty easy. This “compressed” behaviour of EuroACE will be a big minus on very trashy areas while will be acceptable on clean fields. Another thing to mention is the the different behavior with the very small and thin bronze coin: ACE 250 signalled it as iron (1st notch) while EuroACE signalled it between the 6th and 7th notch, surely saving it from discrimination! I think this result is not only effected by the DD coil, but form the higher operating frequency too. The test bed with targets’ positions marked with small pieces of paper. 9th TEST: Iron Masking strikes back! 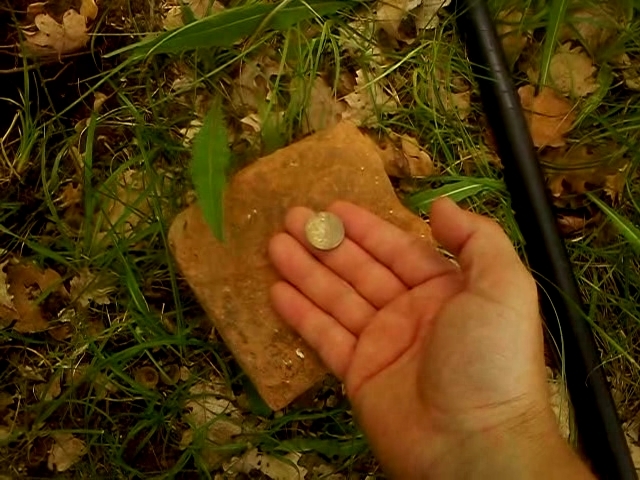 Last test I did was about “iron masking” on a less mineralized ground involved a Vittorio Emanuele 5 cents coin and a rusty old shotgun casing. I’ve buried the coin and placed the shotgun casing nearby (approx 4cm – 1.5”) preparing the machines with a very common setting: first two notches rejected (discriminated) and sensitivity up to the penultimate notch. 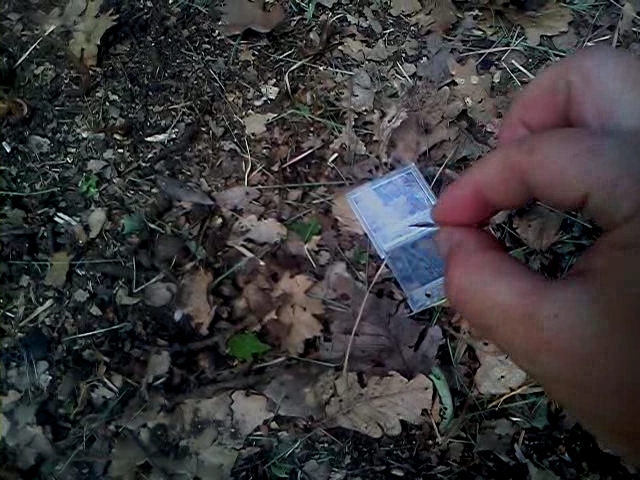 ACE 250, sweeping over the two close targets, beeped only in one direction, when I first hit the casing and then the coin. It was identified on the 4th VDI notch (in the aluminum foil zone). Sweeping from the opposite direction caused no sound and no VDI at all. EuroACE was able to signal the coin from both directions with a jumpy VDI bouncing between 7th and 10th notch in the NON FERROUS zone. We surely have dug this signal, isn’t it? Surely they could seem quite obvious, as somehow they really are, but my favourable opinions to EuroACE do not exclude any exceptions. I’ve verified that most of its qualities come from the outstanding new generation of DD coil. Also we can’t forget to mention that the VDI scale modification, with the ferrous’ compression and the non-ferrous’ expansion could be seen as a plus for someone and as a minus for someone else. Anyway I can boldly state that EuroACE could really be an overall winning choice on its predecessor ACE 250. It’s a machine that perfectly fits beginners treasure hunters but even a excellent back-up unit for hi-end models’ owners. 26 commenti on INTERNATIONAL: Garrett EuroACE VS Garrett ACE 250… The Final Battle! this test is really the best !!! also seems VERY interesting, will it be available in English ? Your site is now in my favourites ! Thank you for your kind comment. I’m glad you’ve appreciated my work. I invite you to subscribe to this blog to stay updated! And… Spread the word! Let’s do some international interchange! You have just solved what my first detector will be! I am totally new to this hobby, and was deciding between these two exact machines,so thanks for a very clear and concise study! Thank you very much for detailed and exhaustive tests. [I must though admit I haven’t solved the problem – which detector to choose – yet.] Grazie mille. fantastic guide thankyou, euroace for me! First of all, thank you very much for the work you have done… It is really important for the beginners like me! I agree with you most of the advantages come from the new DD coil. Anyway, on heavily mineralized soils, having an expanded iron scale could be very helpful not to loose some valuable targets like thin coins. Thanks for the answer! Now I know I will be a little bit off-topic in here, but what do you think about the AT Pro, since we are talking about “expanded iron scales”? 🙂 Do you think that the AT Pro deserves it’s price? I watched many videos with AT Pro on youtube and saw alot of items drifting far away from what they actually were (when underground).. So, to go directly to the point, how much does a DD coil + expanded iron scale really helps in real-life situation? Or is it just a marketing strategy? Yes… I think AT PRO is really worth the price. It’s a very flexible general purpose machine, with good discrimination, good depth, ease of use, well balanced and not so expensive. Since the VDI “drift” you are talking about is common to every machine due to mineralization, I’m strongly convinced DD coils and Expanded Iron Scale are sometimes a true necessity. The DD coil reduces the negative bias and the Expanded Scale will allow the machine to handle the identification/discrimination in a dramatic better way. I read with interest and pleasure your article.It is very very useful for beginers like me ,even for pro.It make me decide what should i chose and i order my first detecting machine (Garrett Euro Ace). Tnx a lot and have a good day. An excellent review Leonardo and your English is very good. Ace 250 owners might want to consider buying the DD coil that comes with the euro ace as an upgrade for their detector. Hope you will continue to enjoy our other reviews in English language… Please, check the ENGLISH EDITIONS page. Thank you so much for this wonderful test, very well made! 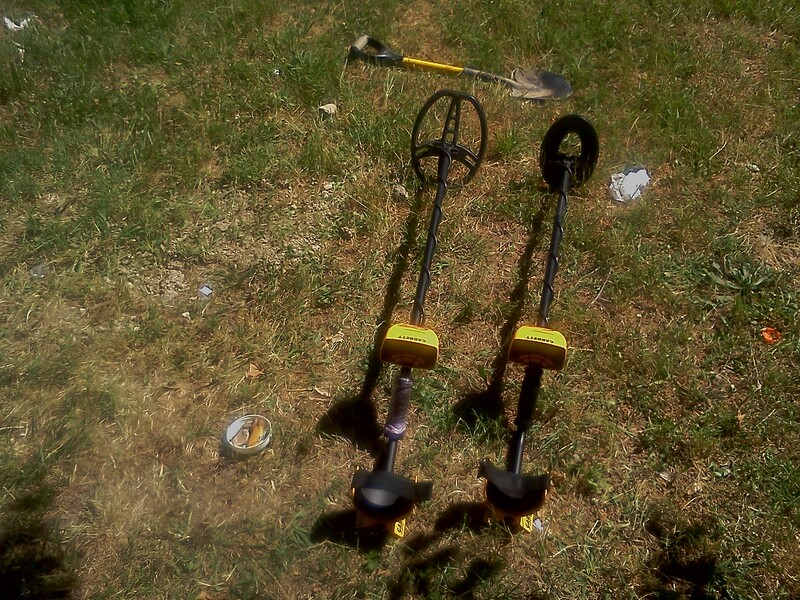 You just helped me buying my first metal detector! I’m glad you’ve enjoyed my work. I OWN A GARRETT ACE 250 AND WANTED TO KNOW THE PROS & CONS FOR USING A LI-ION RECHARGEABLE ‘JUGEE’ RECHARGEABLE BATTERIES WHICH I RECENTLY PURCHASED BUT HAVE NOT USED IN MY UNIT YET. THANK YOU. HI Leonardo, first thank you for an exceptionally well written article. Second as an English man living in Italy, no need to apologise for your English. 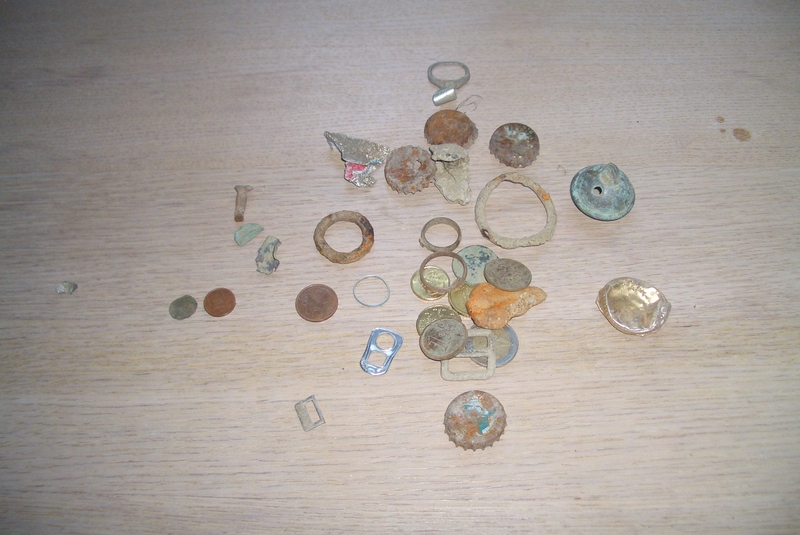 Ok I have had a long time interest in metal detecting but never got round to it. Now the interest has returned. I have 1.3 hectares of land. It is part of what was a much bigger farm. One hectare is being ploughed as I write to you. So you see the opportunity that has presented itself to me. This area, South Marche was inhabited by the Piceni and of course the Romans. 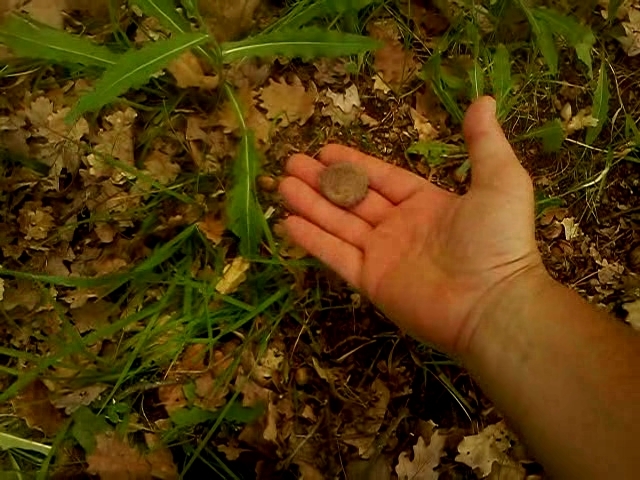 I am not expecting to find treasure, but it would be interesting to find some old coins and artifacts. The soil here is quite heavy clay but I am just 20 minutes from the beaches of the Adriatic. I was considering the Garrett 250 but I think I will opt for the EuroAce having read your article. I would welcome any advice about local conditions and thank you once again. Instead of EuroACE, I would suggest you the new ACE 300i or, even better, the ACE 400i. They both overcome the EuroACE in depth, discrimination and stability. Please consider that Italian laws on archeological findings will oblige you to contact the local authorities (read Carabinieri) in the first 24 hours after the finding of any archeological artifact. If you need more advices, I’ll be happy to give you full support. Hi I have a euroace 250 but it came with the standard concentric coil.so what categorie would it come under in your tests. Speaking about depth, using a standard concentric coil with your EuroACE will lead to have the same performances of the ACE 250. Of course the discrimination/identification capabilities will remain completely different as shown in the article. 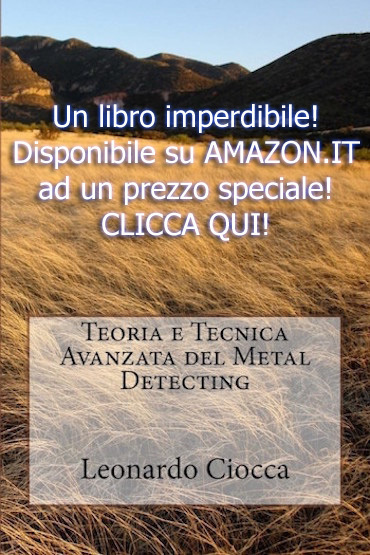 In alcuni detector economici (ma non solo), quando la piastra sfiora e tocca l’erba bagnata o il muschio umido come nel tuo caso, si produce un falso segnale dovuto ad una non ottimale messa a terra del circuito elettrico. È un fenomeno normale… Non preoccuparti. Con un po’di pazienza e pratica imparerai a riconoscerlo e a proseguire la ricerca senza troppi problemi.